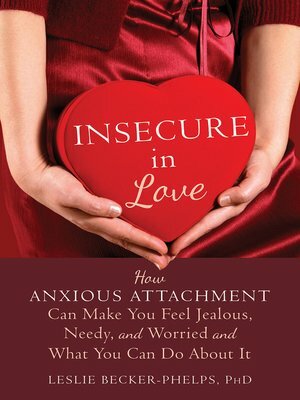 In Insecure in Love, you'll learn how to overcome attachment anxiety using compassionate self-awareness, a technique that can help you recognize your negative thoughts or unhealthy behavior patterns and respond to them in a nurturing way—rather than beating yourself up. You'll also learn how insecurity can negatively affect healthy dialog between you and your partner (or potential partners) and develop the skills needed to stop you from reverting back to old patterns of neediness and possessiveness. If you're ready to stop getting stuck in the same hurtful relationship patterns and finally break the cycle of heartache, this book can show you how to get the love you deserve—and keep it!